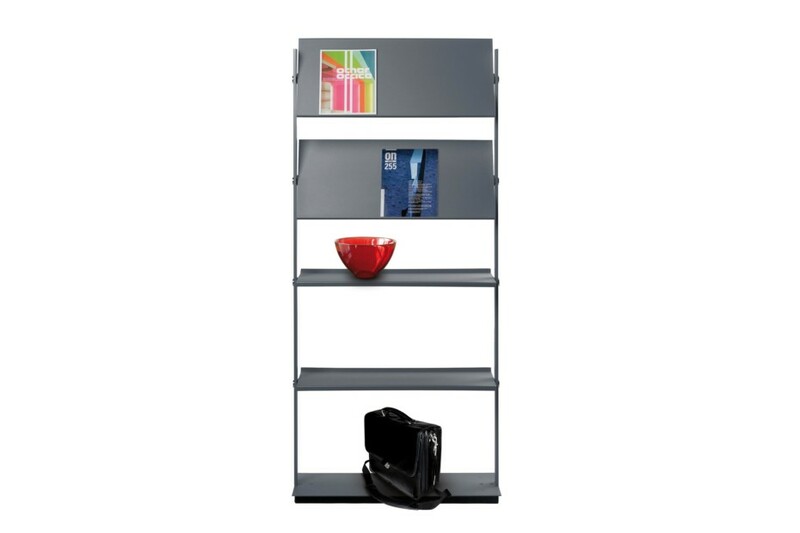 Brochure and storage element with 4 multifuncitonal shelfs. 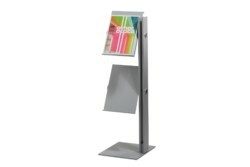 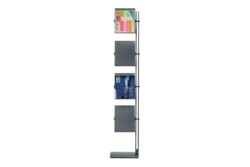 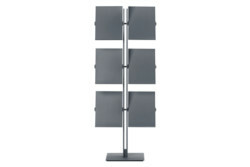 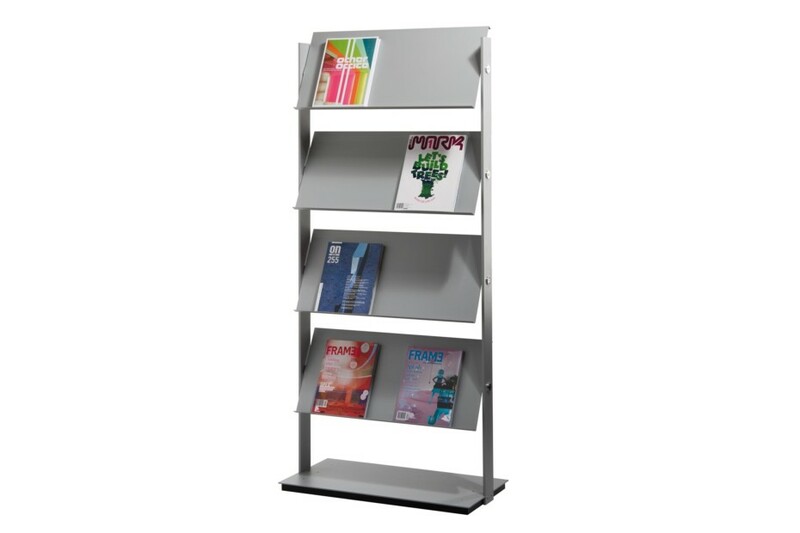 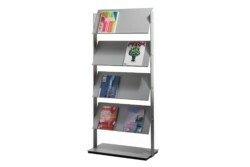 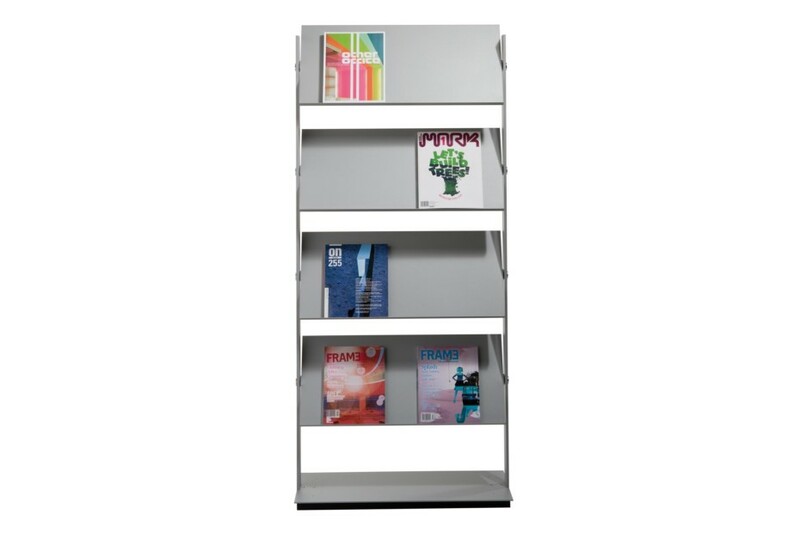 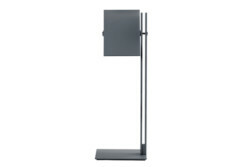 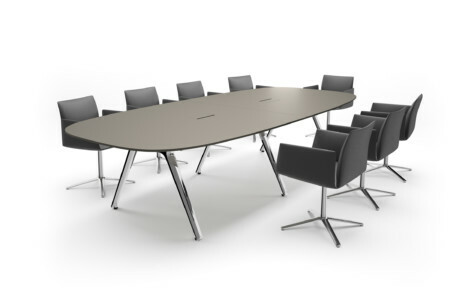 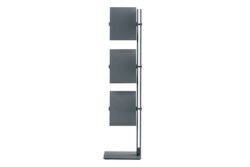 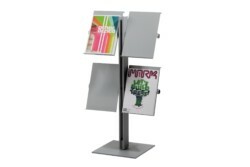 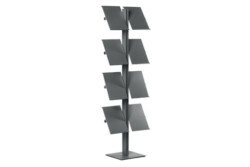 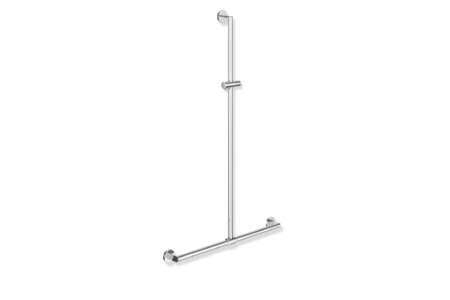 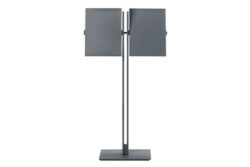 Shelfs are adjustable in 5 different angles (including horizontal positon for example for brochure stock or binders). 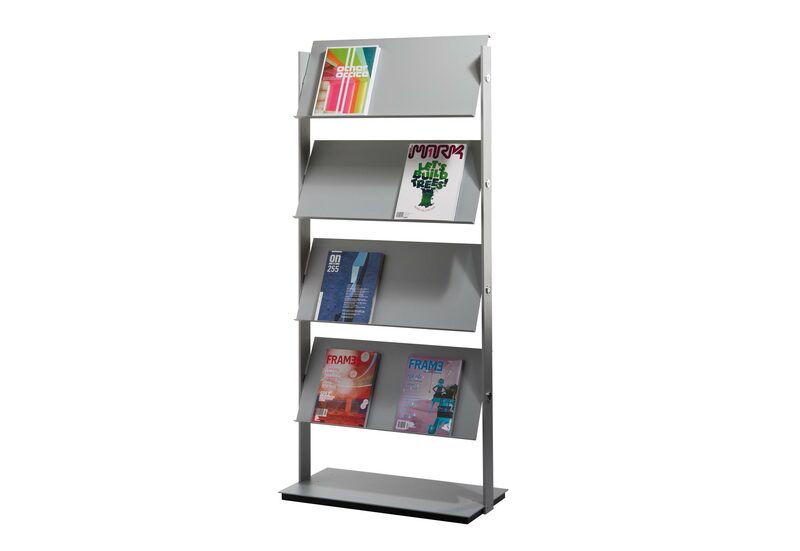 Shelfs and base in aluminium RAL 9006. 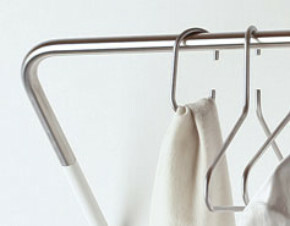 Connections in polished aluminium. 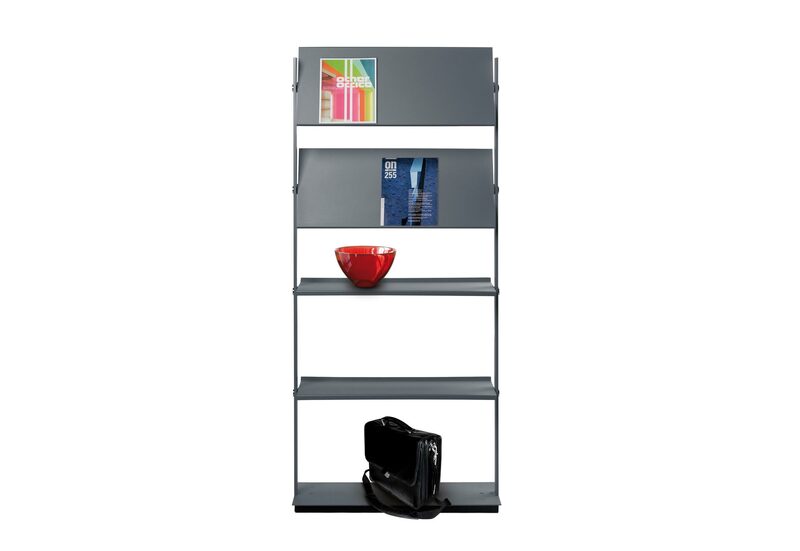 Feet included. 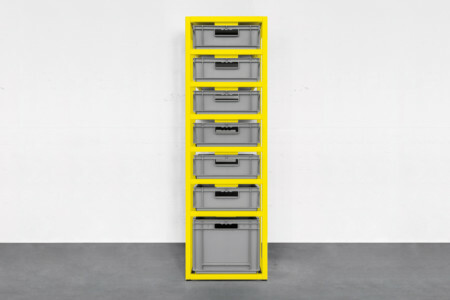 FLEXXIBLE LARGE can be connected with eachother with connector (2015).